How is Internet Explorer 9 doing? 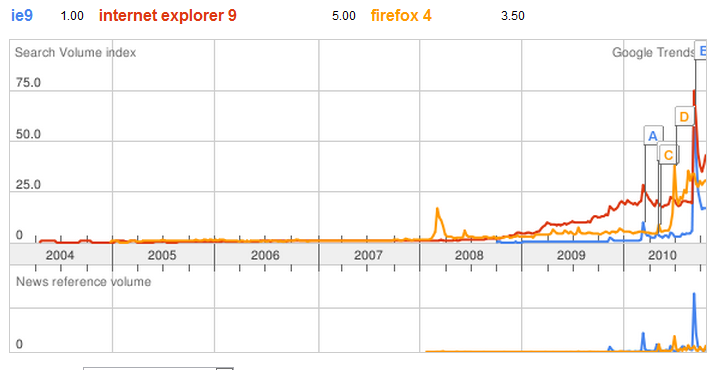 With the launch of the Internet Explorer 9 public beta now more than a month behind us, how is the browser doing? After all, it represents a radical new push from Microsoft to fight back in the browser wars, fend off Chrome and Firefox, and regain market share. That is quite the tall order. With Chrome 9 out in the wild for testing, and Firefox 4 coming to market at some point early next year, if Internet Explorer is going to make a splash it may want to make that jump before the competition steals its momentum. That aside, is anyone using the beta of IE9? According to two separate sources, yes. Clicky Web Analytics [disclosure: my friends own the company and I used to work for them] reports IE9 market share between 0.31 and 0.36% depending on the day. NetMarketshare has a lower figure, reporting some 0.28% market share for the browser at the end of October. Still, for a beta that is opt-in, grabbing a quarter point of market share or more in a month is nothing to sneeze at. At the same time is not nearly enough to write home about. What else can we look at? Tweet volume is strong around both the search terms ‘Internet Explorer 9‘ and ‘IE9,’ although today the big news seems to be that reports are coming in that IE8 lost more market share than IE9 gained last month. That aside, IE9 is in the news, and on the mind of consumers. Finally we leave you with a number that we don’t trust. 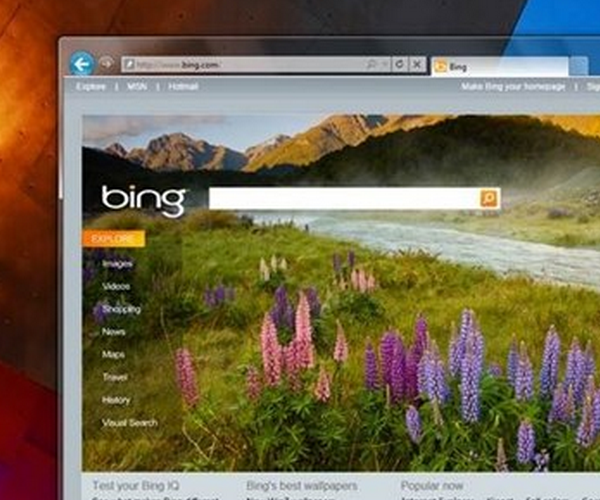 Microsoft set up a website called ‘Beauty of the Web,’ to promote IE9. Compete reckons that in the US alone nearly 4 million people visited the site over 7 million times last month. That just sounds a touch high, don’t you think? Still, with growing penetration, strong search traffic, and Twitter chatter it seems that IE9 is finally fighting back against the brand’s long decline. Time will tell if it can stem the bleeding.